Sorting a list of English words is simple enough because they rely on alphabetical ordering. Sorting a set of German, or French words, with all of their accents, or Chinese with their different characters is a lot harder. 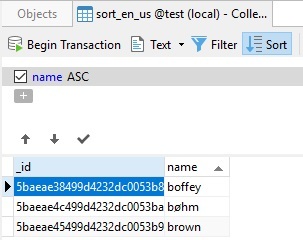 Sorting rules are specified through locales, which determine how accents are sorted, in which order the characters are in, and how to do case-insensitive sorting. 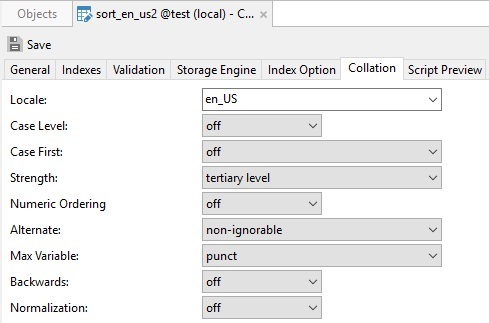 In the last couple of blogs we learned how to specify collation rules for a collection or view in Navicat for MongoDB. 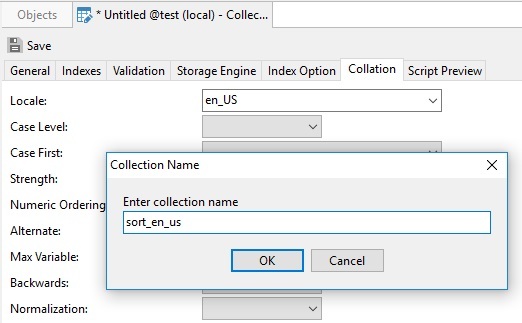 Today we're going to see collation rules in action by sorting two collections with the same data but defined using different collation rules. Now we're ready to add the documents. 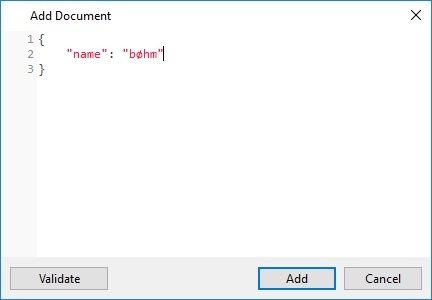 Clicking the Add button appends your new document to the collection. Repeat that process again to enter the "boffey" and "brown" values. 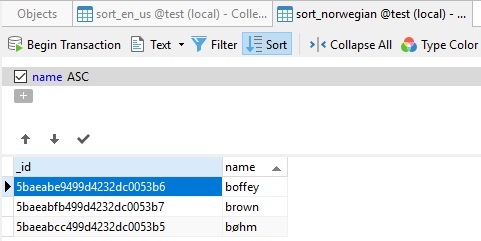 Next, create another collection named "sort_norwegian". This time, choose "nb" from the Locale dropdown. Be sure to enter the data in the same order so that both our datasets are identical. With our two test collections in place, we're ready to sort them. And that, dear readers, is collation at work!